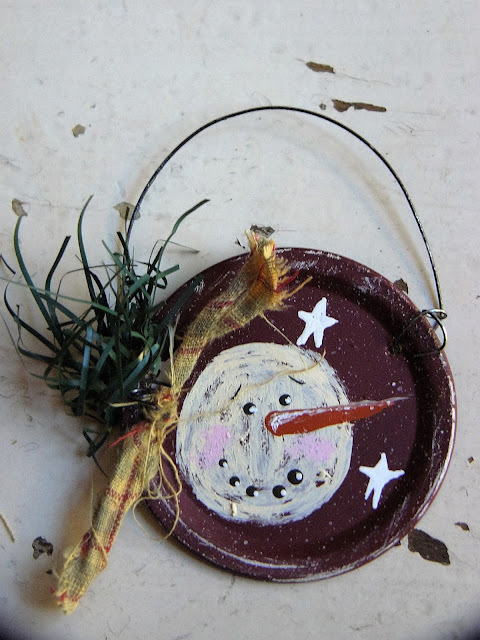 This post is an expansion of a craft I did a few weeks ago. 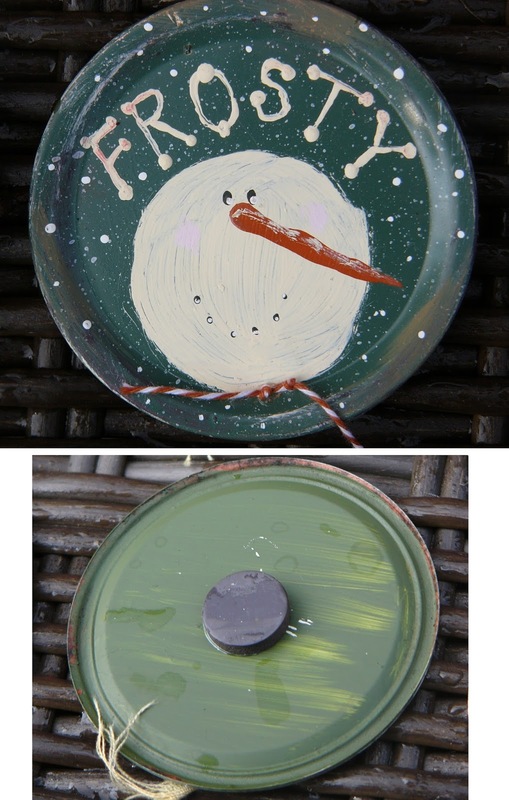 DIY PRIMITIVE SNOWMAN LID ORNAMENTS? Well, this is basically the same only that I made more into magnets instead of hanging ornaments. 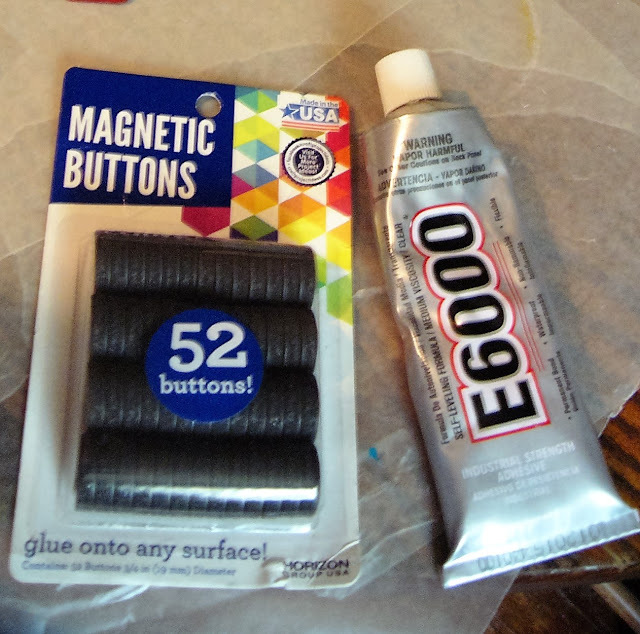 And after they were all painted and dried, I simply went glued on some round magnets using E-6000 glue. 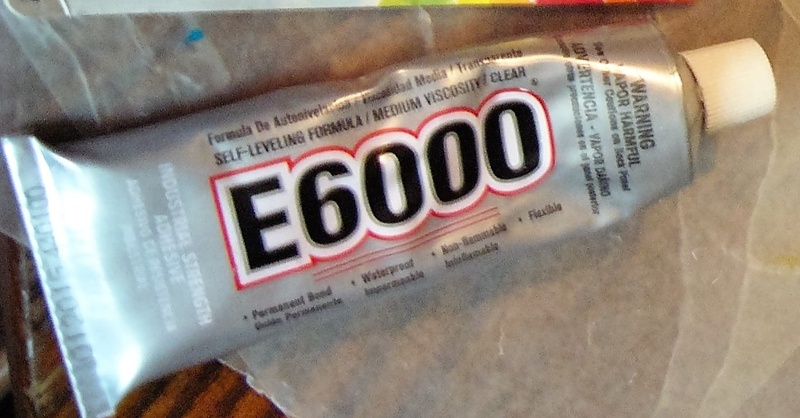 I always recommend the E-6000 glue over anything, especially hot glue because you want a good strong hold for magnets. And with taking them on and off refrigerators and such, the E-6000 glue really holds up. 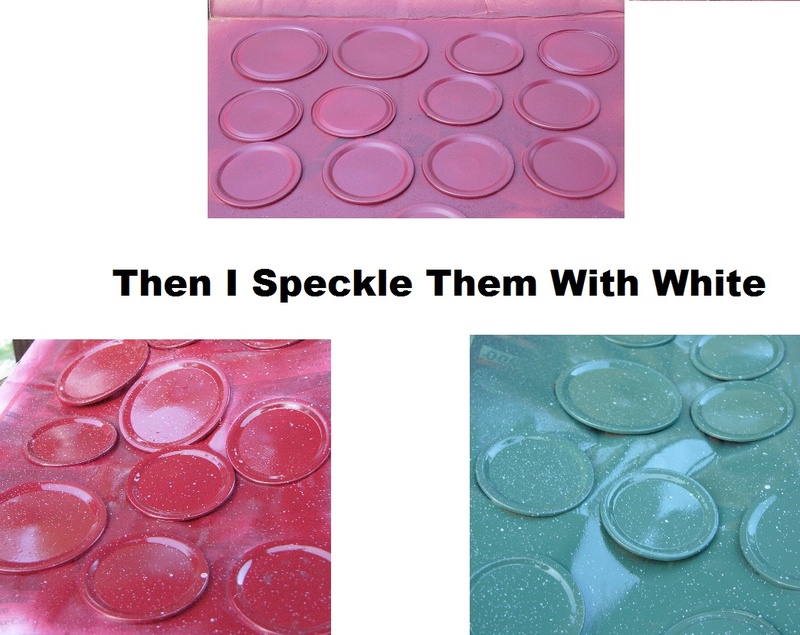 As for the magnets, you can get the good round ones at Walmart in the crafts section. For the larger lids, I used the larger magnets and for the smaller lids, I used the smaller magnets. And that is about all there was to it, besides adding a few decorations to the front. I love homespun fabric on about anything. And to a few, I added a bell here and there. And here they are all ready to go in my craft booth for the Christmas Open House. 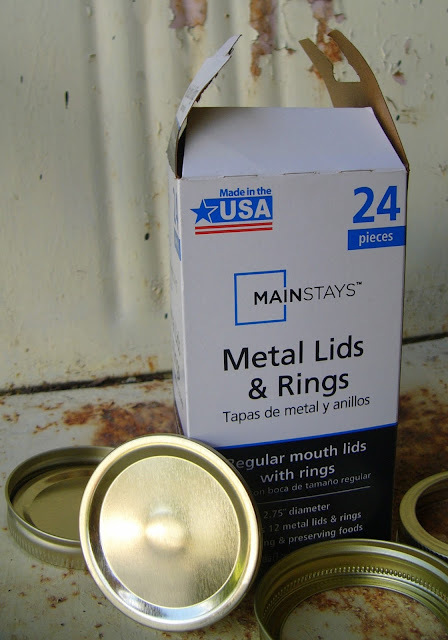 I save my metal cans that food comes in such as green beans and baked beans to use as display tins. I like having a variety of sizes to catch the eye. I am pricing these for $1.99 each in my craft booth, un-packaged, with just a sticky price on the back. I hope they will make for a quick, grab and give gift item! What do you think? 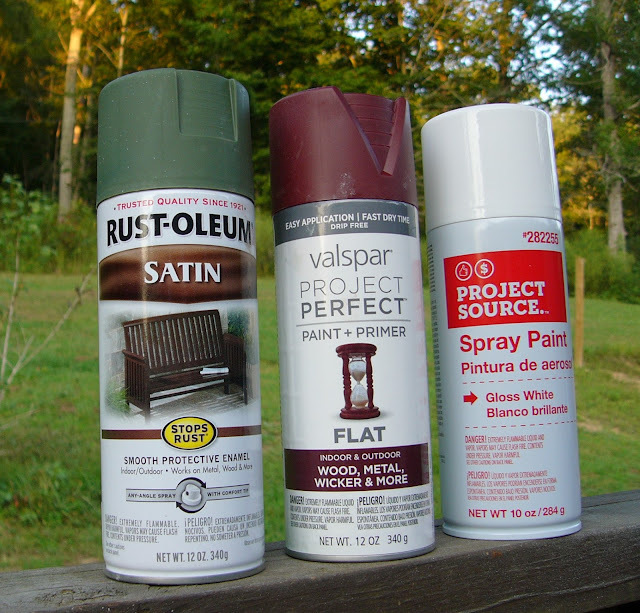 Would you give these as a lil' inexpensive Christmas gift? I certainly would, they would make amazing gift toppers.